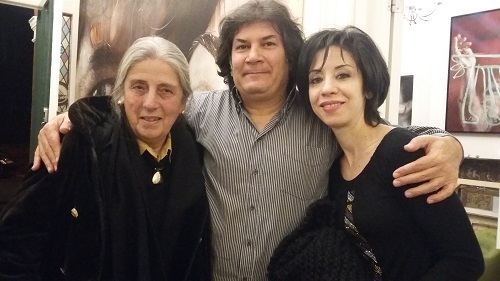 Mrs. Pascale Warda, the former Minister of Migration and Displaced, member of Iraqi Women's Network, completed her last trip to Britain at a lecture at the University of London SOAS on 4/11/2018 at the invitation of Dr. Erica Hunter Professor of Oriental Christianity and participant at the World Christian Center / Department of History, Religions and Philosophy. Mrs. Warda's lecture took two hours to address many issues related mainly to the rights of minorities and women, focusing on the importance of Iraqi women's capabilities and achievements despite the injustices imposed on them. Mrs. Warda mentioned some examples, such as the late Mrs. Naziha Al- Dulaimi, as by the support of the first President of the Republic of Iraq Abdul Karim Qasim , has achieved the imposition of the right to equal remuneration for women and men by a law in the Personal Status Law No. 188 of the year 1959, while the leading developed countries are still struggling to achieve this gain. She also praised Dr. Mona Hanna Attisha, one of the immigrants to the United States, who rescued thousands of people in one of the American cities in Michigan, where she discovered and treated deadly poison at the source of drinking water for that city as the doctor is a Chemical scientist. Also Miss. Nadia Murad have been sexually exploited by the criminals ISIS , have proven after rescued to be courageous and intelligent was able to transfer the horrors of these practices to the ears of the world what led her to win the Nobel Peace Prize of 2018. All this is enough to take the capabilities of Iraqi women into consideration while men are in a politically awkward situation, women raise Iraq's name globally. 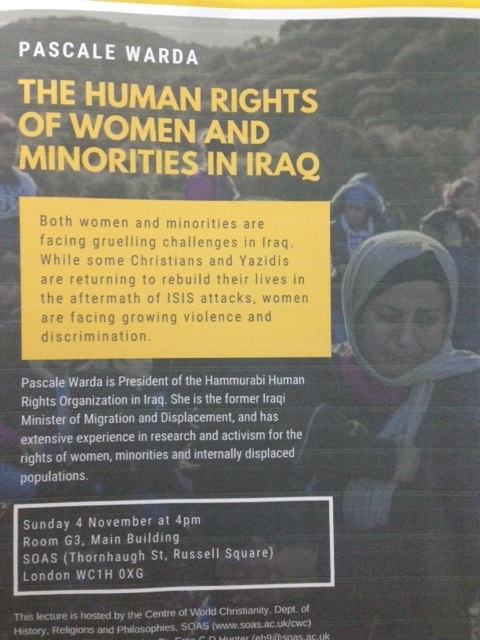 NIRGAL News Network will soon publish a meeting with Mrs. Warda, where she will discuss the topics of the tour, which have been interfered with the universities Sussex ,IDS, the University of Cambridge and the University of London, on the human rights situation in Iraq in general, minorities and women in particular.